As one of Aventura’s original high-rise luxury towers constructed in the mid-80’s, Hamptons West set the bar for all future developments to follow. The design features a contemporary whitewash a glass façade, and the structure stands 26-stories above the landscaped water gardens of The Hamptons grounds. This tower has recently undergone inner renovation to restore the original splendor of lobby, hallways, and other public areas. Residential hospitality services at Hamptons West include a 24-hour attended reception and information desk in the front lobby, as well as entrance valet service. The Hamptons West Views - Located on the north side of the beautiful, palm-lined boulevard of Country Club Drive, Hamptons West looks down over the world-famous fairways and lakes of the Turnberry Isle Resort & Hotel. To the north, The Hamptons features waterfront views of North Aventura and Golden Isles over the Aventura Waterway off the Intracoastal. 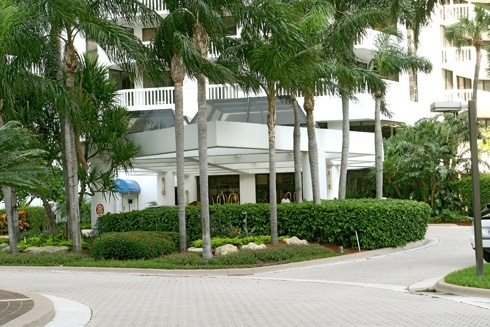 Looking down this waterway to the west, residents can anticipate beautiful cityscape views of Aventura; and to the east- views of the Intracoastal Waterway and the Atlantic Ocean on either side of Golden Beach. The high-rise luxury condominium tower of Hamptons West was constructed in 1985 and recently renovated to restore it to its' original pristine condition along with. Over the 26 residential floors, there are only 342 luxury condominiums - giving way to a more private, intimate feel with no more than 12 residences on average per floor. 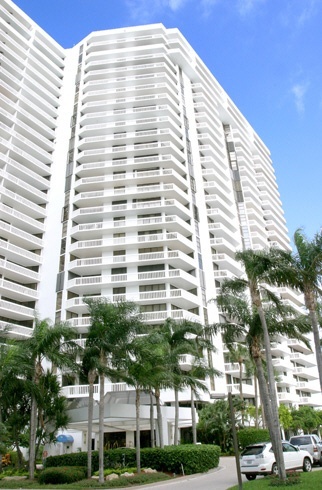 Recent price ranges* on luxury condominiums in Hamptons West range from $150,000 to $500,000 - making Hamptons West one of the most affordable options for a waterfront luxury condominium home and real estate in Aventura. Located on the north side of the beautiful, palm-lined boulevard of Country Club Drive, Hamptons South looks down over the world-famous fairways and lakes of the Turnberry Isle Resort & Hotel. To the north, The Hamptons features waterfront views of North Aventura and Golden Isles over the Aventura Waterway off the Intracoastal. Looking down this waterway to the west, buyers can anticipate beautiful cityscape views of Aventura; and to the east- views of the Intracoastal Waterway and the Atlantic Ocean on either side of Golden Beach. 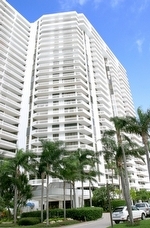 The 2, 3, and 4-bedroom condominiums of Hamptons South range in size from 3,000 to 4,000 Sq. 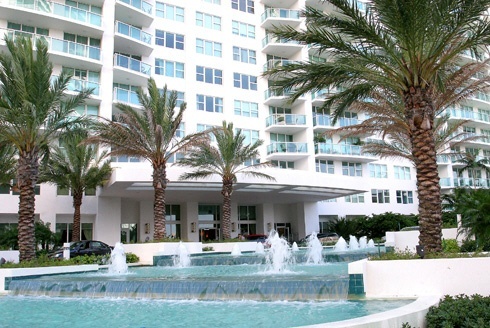 Ft. Each residence features its own private front door elevator foyer, and the condominium floorplans are designed for family living with: oversized kitchens, exceptionally large living areas, floor-to-ceiling windows in all rooms, and an interior gallery for family pictures or collected art. Recent price ranges* for condominium residences in the Hamptons South range from $400,000's to over $2 million.